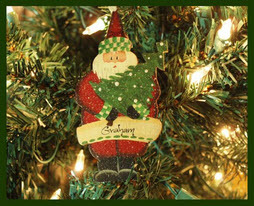 For over 25 years, Deborah Fleckenstein has been spreading the magic of Christmas to young and old alike. Deborah has refined her artistic skills with the high quality pieces tastefully done on 1/8" Baltic Birch wood. 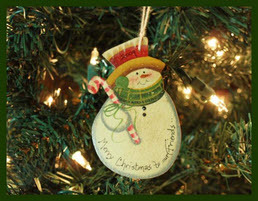 Starting with the cutting of each ornament and sanding by her husband (and best friend) Jim, this 10-12 step process delivers a high quality heirloom ornament that can be passed down from generation to generation. 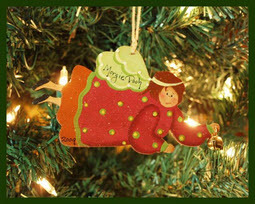 Any ornament made by Deborah can be personalized with the names of your children, grandchildren, friends and families. The Gingerbread Angel prides itself on the fine craftsmanship and quality of its hand painted heirloom pieces. 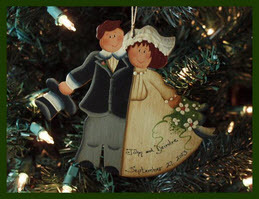 Each ornament is made in the USA, by Deborah and Jim, in their hometown of Punxsutawney, which is tucked into the rural rolling hills of Western Pennsylvania. Many returning customers have faithfully followed Deborah (The Gingerbread Angel!) at the various arts and crafts shows that she has set up at throughout Pennsylvania. 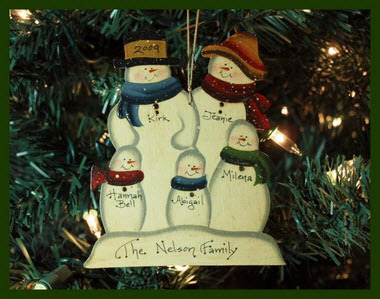 These customers look forward to the new line of ornaments that she creates each year and to sharing their stories of the joy that Deborah's personalized ornaments bring to their families and friends.